Lokmat, Maharashtra’s and Goa’s No. 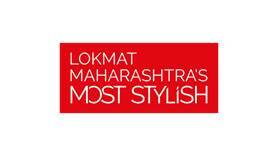 1 newspaper, has announced the first-of-its-kind ‘Lokmat Maharashtra’s Most Stylish Award’. The Awards, to be held on December 15, 2016, will honour the most stylish and glamorous people from fashion, politics, sports, films, business, media and television. The event promises to be a star-studded glitzy affair, with celebrities from Bollywood and Marathi entertainment. Lokmat Maharashtra's Most Stylish Award is a platform to celebrate style, which is a culmination of sophistication, inherent charm and attitude. It has been initiated for the first time in Maharashtra and for the people of Maharashtra. It will highlight the style of the state that has left an indelible mark for generations to come. From Paithani saris to Puneri pagdi, from Nauvari to Lavani dance, from Kolhapuri chappals to the artistic nath - this state of the Peshwa and Shahu Maharaj is known for its unique distinctive style. Over the years, the cosmopolitan state of Maharashtra has witnessed an evolution in style and Maharashtrians have positioned themselves successfully on the global fashion map. This award is an honour platform for people beyond the entertainment category. Lokmat changes masthead to black from red.